We Publish Lots of Soccer Books. From Coaching Best Practice to Soccer Psychology to Football Exercises. Jurgen Klopp’s arrival at Liverpool was met with such frenzy that it would only be slightly lazy journalism to compare it to Beatlemania – certainly, Britain was enthralled by the charismatic German taking the reins at Anfield. With his stylish black-rimmed glasses, preference for jeans over suit trousers, boisterous nature and generous belly-laughs, Klopp’s arrival felt like a coup for the entire Premier League. And his first press conference after arriving on Merseyside, in October 2015, saw him charm the nation further, with generous sprinklings of humour and confidence. In an era where the cult of personality dominates football management, Klopp is a success story with few equals, having rebuilt Borussia Dortmund to such an extent that they now possess a cult following across Europe. 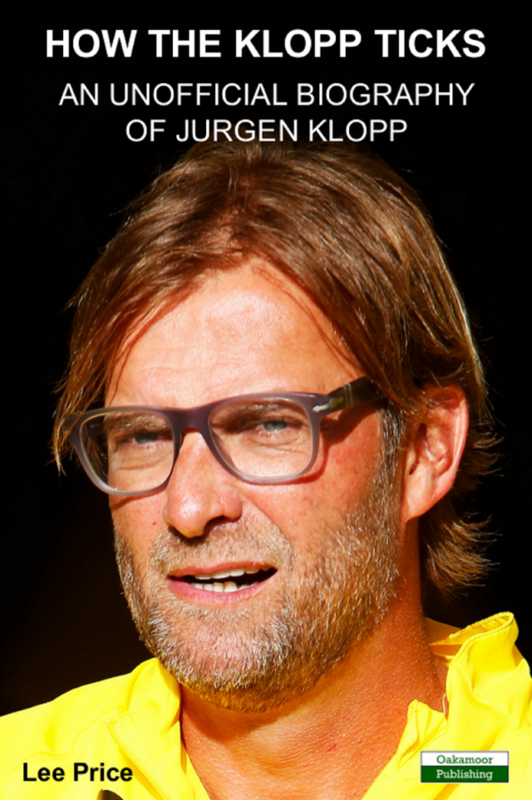 From growing up with his demanding father, through his own mediocre playing career, to developing a playing style blueprint – gegenpressen – that revolutionised modern football, this book takes a shallow dive into Jurgen Klopp’s story. For a man of many words, Klopp could fill several volumes – but this concise, focussed book centres on the key elements of his success. Where he came from, how he built his reputation, and what Liverpool – and the Premier League – can expect from the ‘normal one’. He claims to be extra ordinary – when, in fact, he is extraordinary. Previously of Shoot! magazine, and now a feature writer, Lee has interviewed various sporting greats – most memorably his original footballing hero, Eric Cantona, who was as aloof and enigmatic in a hotel lobby as he was on the pitch. And Lee was as infatuated. Other objects of his footballing affection include the English lower leagues, Germany’s fan model, the faint possibility of an England World Cup win, and a good old-fashioned unlikely success story.